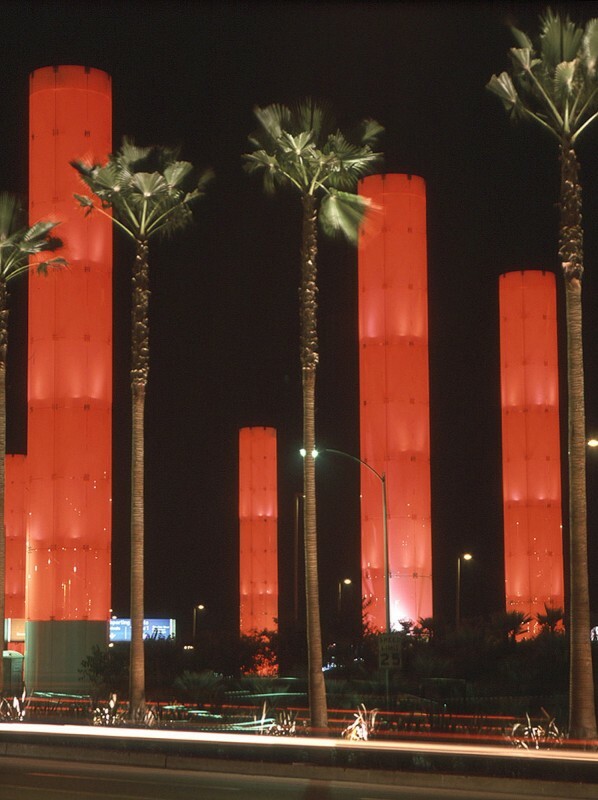 The Kinetic Light Installation, (untitled) 2000 by artist Paul Tzanetopoulos, is the public art component of the LAX Gateway Beautification Project. 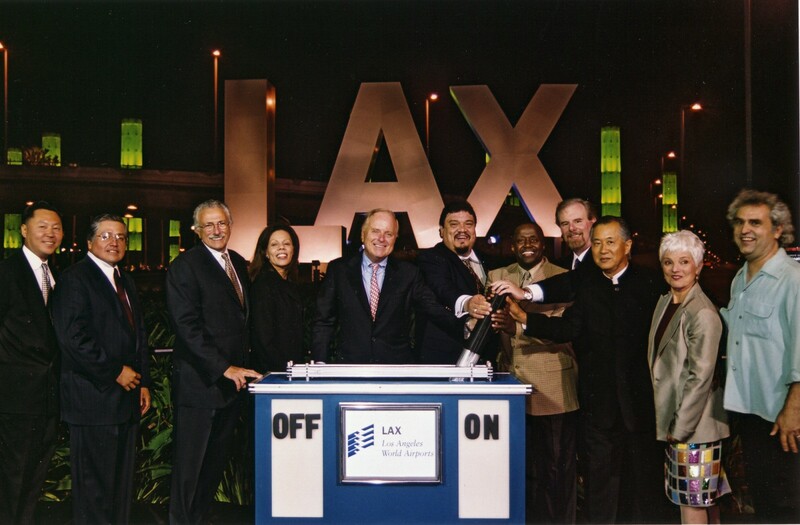 Completed for the Los Angeles International Airport for Los Angeles World Airports on August 8, 2000, the work is the largest permanent public art lighting installation in the world. 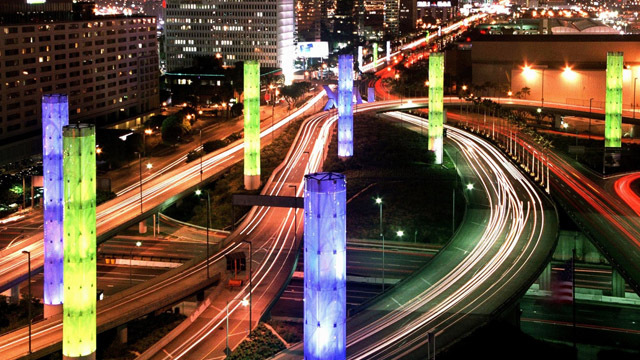 The Kinetic Light Installation, visible at night, is housed within a complex of 26 giant, translucent glass pylons. 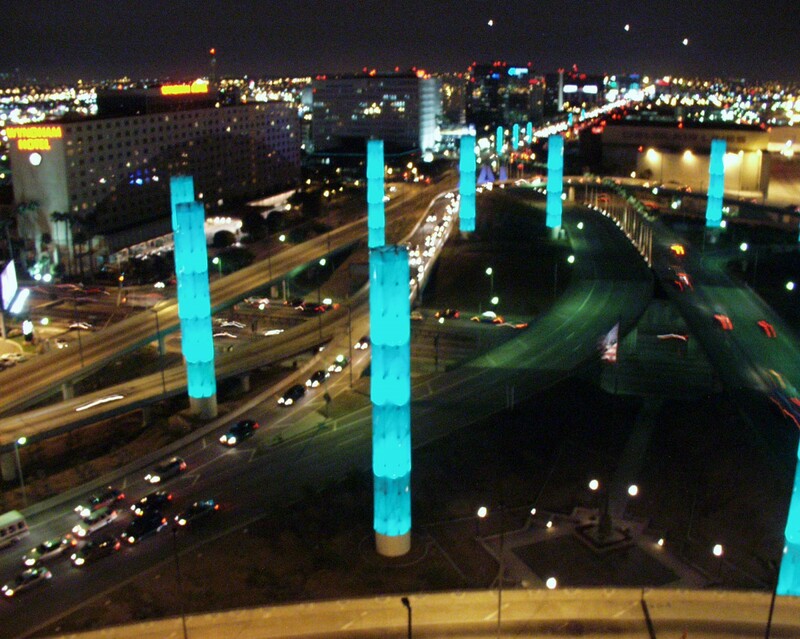 Los Angeles World Airports (LAWA) worked with the City of Los Angeles’ Cultural Affairs Department to commission Tzanetopoulos for two tasks – to solely create a large-scale public art work utilizing light and movement (the Kinetic Light Installation); and secondarily, to work within the LAX Gateway design team to create an artist’s interface that would allow the creative lighting programming within the pylons, and ensure that the lighting technology would be implemented and consistent with the goal of the public art element. 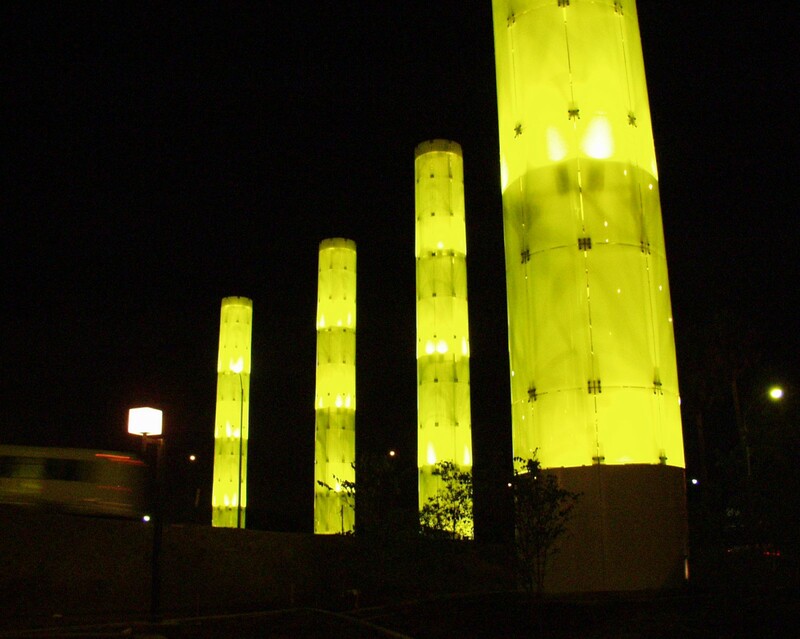 The significance of the lighting in the pylons pivots around its scale and kinetic quality. 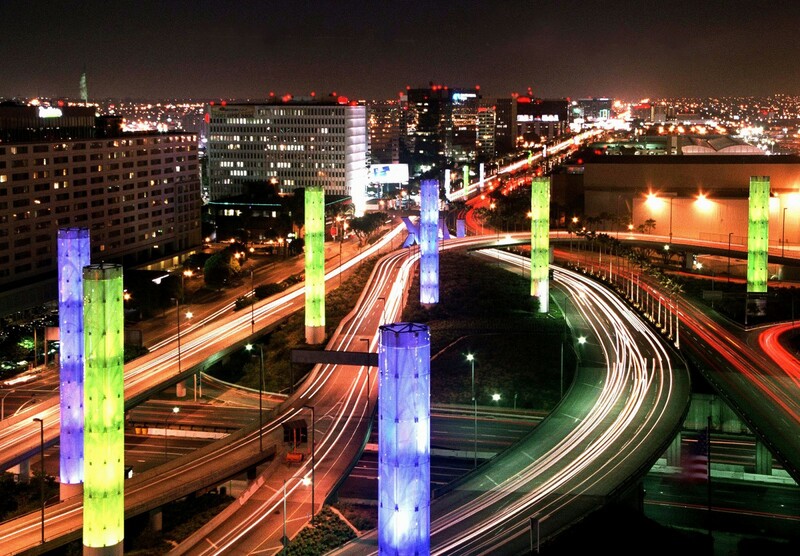 In the evening, the pylons become volumes of colors and kinetic light forms, unique in scale and variability. Functioning both as architectural and sculptural elements, steeped in geo-historical context, they resonate with contemporary and classical character. 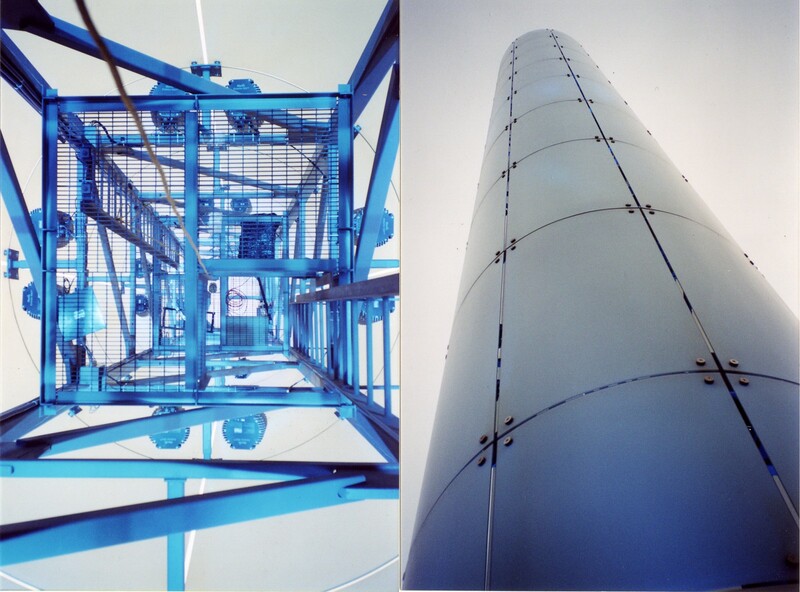 Classically, as forms and volumes, they point to an uplifting nature and provide a strong sense of place. 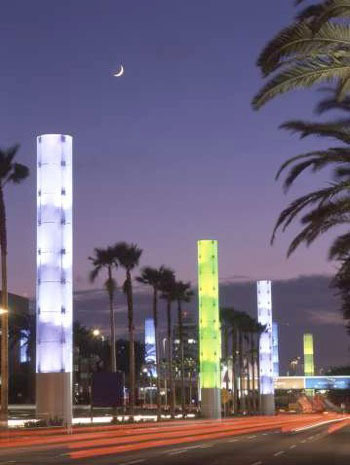 The internal lighting conceptually turns the pylons inside out by appearing to have absorbed the environment, re-illustrating it in a kinetic light display. 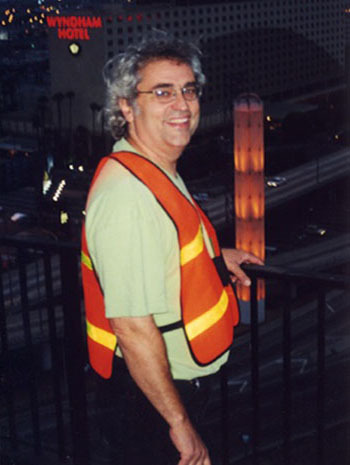 The Los Angeles social spectrum and diversity are literally played out in the varied colors and luminosities emitted from the pylons. 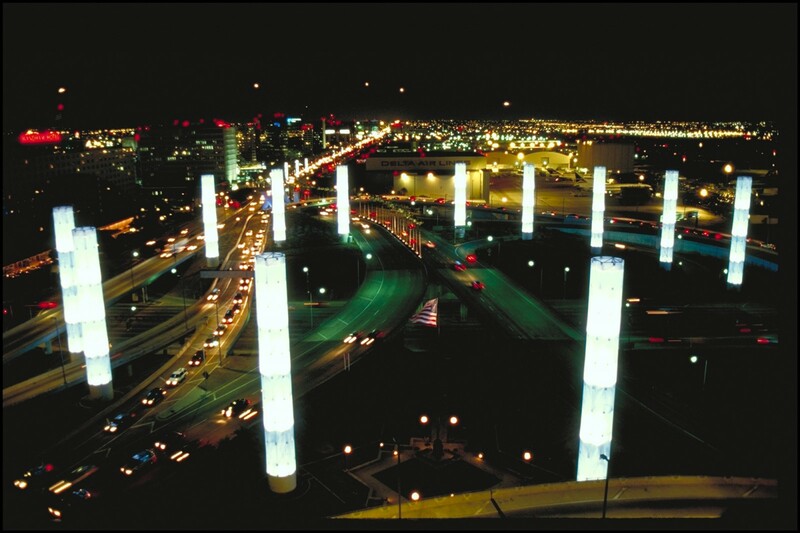 The lighting in the pylons provides a welcoming motion and path to the airport and its facilities. 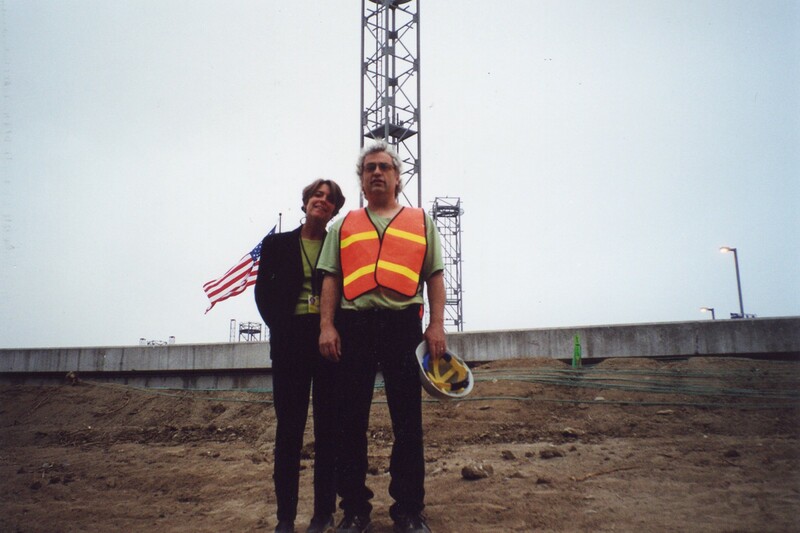 The overall kinetic geometry illustrated in the pylons moves at a rate and direction designed to grab attention and direct the casual observer and, more specifically, the airport community and all its constituencies, to LAX. 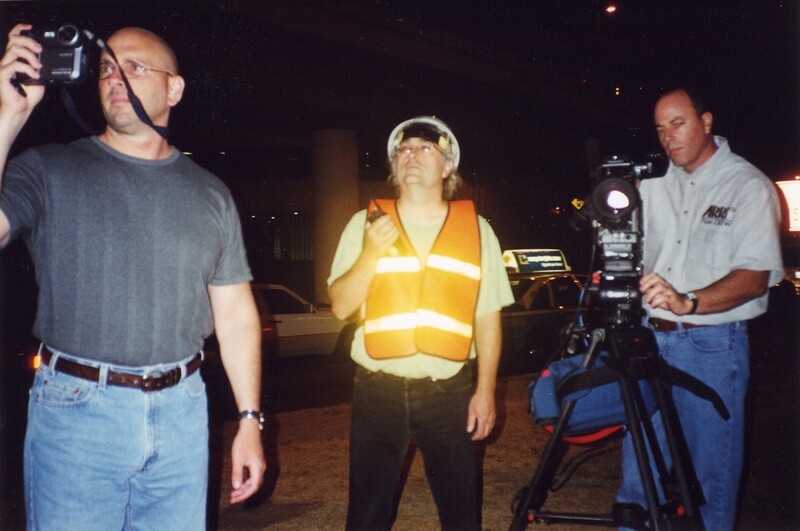 All aspects of the color and kinetic qualities pivot around a thematic metaphorical spectrum for diversity and tolerance emanating from LAX.